From the first outline to the conclusion of your development, PDS will provide you with all the services you require. We will help you to negotiate all the process that is required guiding the way to a positive development. With all planning applications your local authority will require different levels of information depending on the size, location and use of your proposed development. 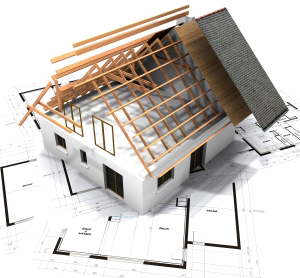 PDS cover all variations on this from the application for the retention of planning permission to full planning permission including:- full planning specifications and drawings; topographical surveys; landscape design; O.S. maps; newspaper notices; site notices; percolation test and any other requirement that is required by the relevant authority. At PDS we provide the groundwork and research required for all types of planning applications. This generally means that we project manage the planning application. This will includes obtaining the most suitable and cost efficient drawings, the management of the project team including developing a relationship with the client. This will ensure that all plans and designs are consistent to what the customer desires. We prepare the required paperwork, and carry out any negotiations with planning officials that might be required. We will carry out pre-planning meetings where necessary. PDS will provide to you all the necessary reports that may be required to draw down your finances in accordance with the conditions of your selected mortgage company. Having been granted planning permission, PDS will arrange for you a suitably qualified and indemnified Architect / Engineer to sign off on Compliance with both Building Regulations and the Final Grant of Permission.